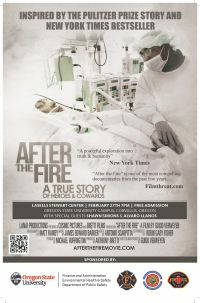 After the Fire is an award-winning documentary about the arson fire on the campus of Seton Hall University in 2000. Three students were killed and over fifty were injured in a fire started as a prank, but rapidly spread in a common area at Boland Hall, a freshman dormitory. When: February 27 at 7 p.m.